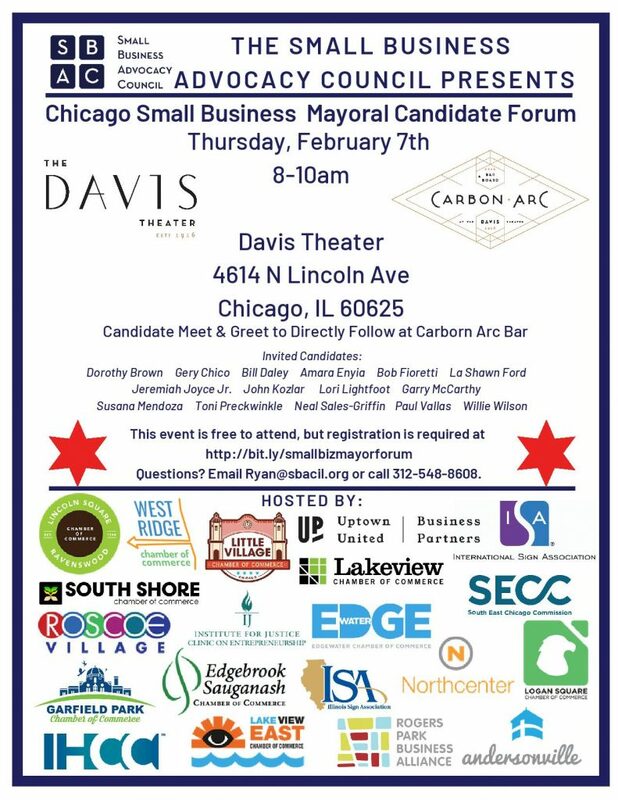 The Small Business Advocacy Council Presents… Chicago Small Business Mayoral Candidate Forum on Thursday February 7, 2019 from 8:00 – 10:00 am at Davis Theater (4614 N. Lincoln Ave). This event is a city-wide partnership with Small Business Advocacy Council (SBAC) and is free to attend. Registration is required at http://bit.ly/smallbizmayorforum.